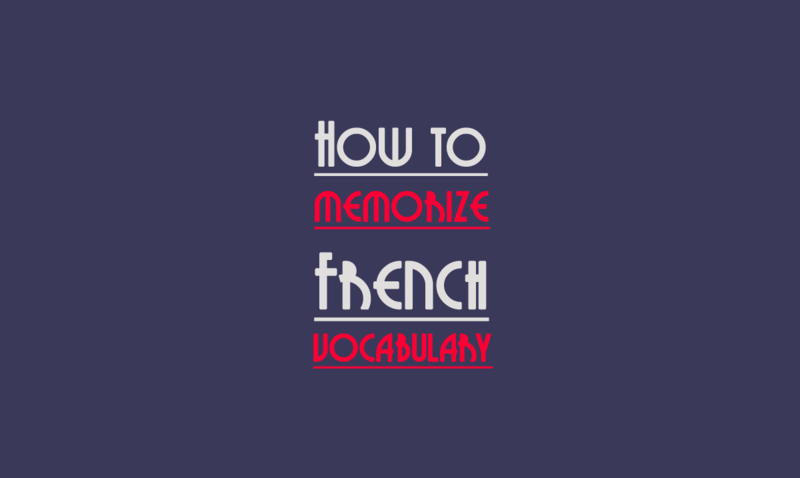 Frederic’s note: This article was written by Jack Nunn, who was kind enough to share his experiences about learning French vocabulary efficiently. He explains how he does it by taking into account the specificity of the French language (the gender issue). If you have some tips about learning French and want to write about it, feel free to email me at contact@talkinfrench.com. If your article is relevant and useful I will share it with great pleasure on the website. « Je suis comme ça. Ou j’oublie tout de suite ou je n’oublie jamais, » was famously quoted by Samuel Beckett, an Irish avant-garde playwright who was awarded the Nobel Prize in Literature in 1969. It translates as “I’m like that. Either I forget right away or I never forget,” and this perhaps highlights the importance of learning vocabulary in a language. Learning the estimated 600 words, which represent about 90% of words used in common French texts, may be difficult to retain in your long term memory. 1. Have a list of about 30 words. 2. 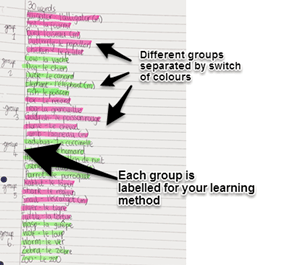 Split the thirty words into equally numbered, small-sized groups. Referring to ‘revision cards’ over a period of time. 4. Test yourself, but not in order the words are in. More than thirty may become confusing. Rewrite all the words into one continuous list, accompanied by their article (gender: le, la etc.) and English equivalent. This makes them manageable and much easier to learn. ​Get your small group of words, look at them for a small amount of time, then place them out of sight - or cover them with your hand. Whilst the words are covered write out the words, then check them. physically doing something whilst learning the words. A bit of French football anyone? (Will be effective for people interested in sport or acting). Writing the words on Post-it notes and sticking them to things associated with the word. Saying the vocabulary aloud then repeating the English after is surprisingly effective and can even help pronunciation, chic! If you simply test yourself in the order that the words are in, you are less likely to remember them. Use a random word or name generator where you can write in the words,. Firstly do it French to English, just to get the meaning, then when you have most correct type the English version of the words into the word generator and test yourself from English to French. This is more difficult as you have to get the spelling correct. 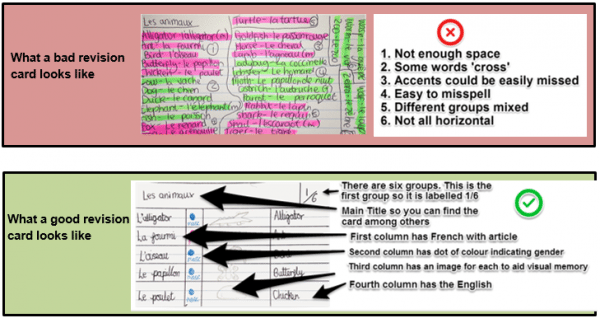 Make sure you mark your test against your original list and make necessary corrections. Once you’re getting nearly all the words correct, you should be able to easily recognize them in texts and write them in sentences. Do you have some tips or techniques to memorize vocabulary effectively? Share your tips in the comment section; we would love to hear them.